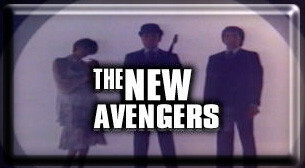 Pacy, action-packed, tongue-in-cheek and as bizarre as its classic ancestor, The New Avengers saw the return of Patrick Macnee as suave secret agent John Steed... now ably assisted by Joanna Lumley as the lovely-but-lethal Purdey and Gareth Hunt as tough-guy Mike Gambit... three characters of contrasting styles, yet forming an unbeatable triumvirate! When violent crime and terrorism across Britain began to engulf existing law agencies, the Government fought back with Criminal Intelligence, CI5. An elite squad of police, military and intelligence officers deployed to mete out preventitive, interrogative and combative techniques, their "Fight Fire With Fire" motto courted controversy but certainly got results. Gordon Jackson, Martin Shaw and Lewis Collins are THE PROFESSIONALS! Home page design & graphics by "The Minister"